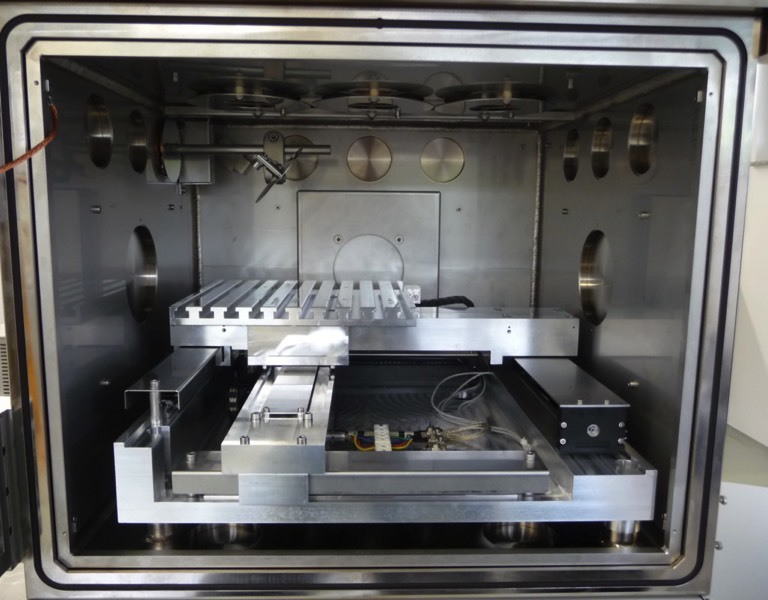 The FOCUS LaVa equipped with a 1 kW fibre laser housed in a 19″ rack. The two monitors are used to display the camera video and the CNC interface. LaVa is the acronym for Laser welding under Vacuum and combines the strength of the laser with the vacuum environment. Reduced pressure operation around 1 mbar allows for deep penetration welding and a significant reduction of spatters to nearly zero. Cu, Ti and many more materials can be welded with LaVa on an EB performance level which now becomes available for magnetic und insulating materials as well. 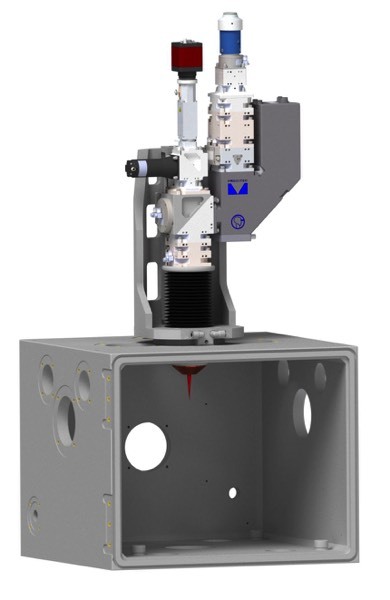 LaVa is available including a laser or configured to be used with an existing laser. The two pairs of slow motion video clips are demonstrating the laser welding process for steel & copper performed at atmospheric pressure (1000 hPa) compared to vacuum conditions (1 hPa). These videos have been taken by and are courtesy of our R&D partner ISF of RWTH Aachen. In order to serve our customers with the best suitable solution for their processes or products, the machine concept is based on modular building blocks. 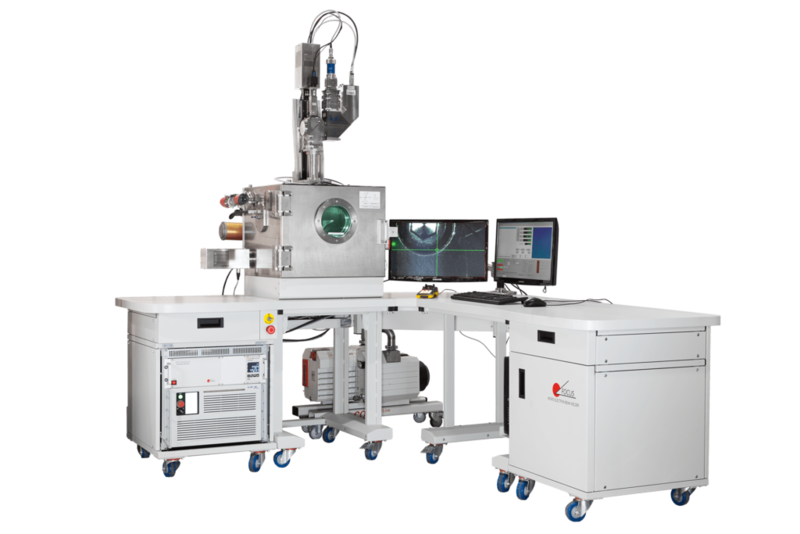 This means one can choose between different laser sources and optics from a range of suppliers. In addition, we offer customized solutions with the possibilty to integrate your existing laser. In some cases even the optics can be used. For high-precision processing an exact workpiece manipulation is necessary. In order to achieve this, we have developed a CNC system with position accuracy better than 30 µm and a movement speed of up to 100 mm/s. For reduced maintenance, the stepper motors are located outside the chamber. 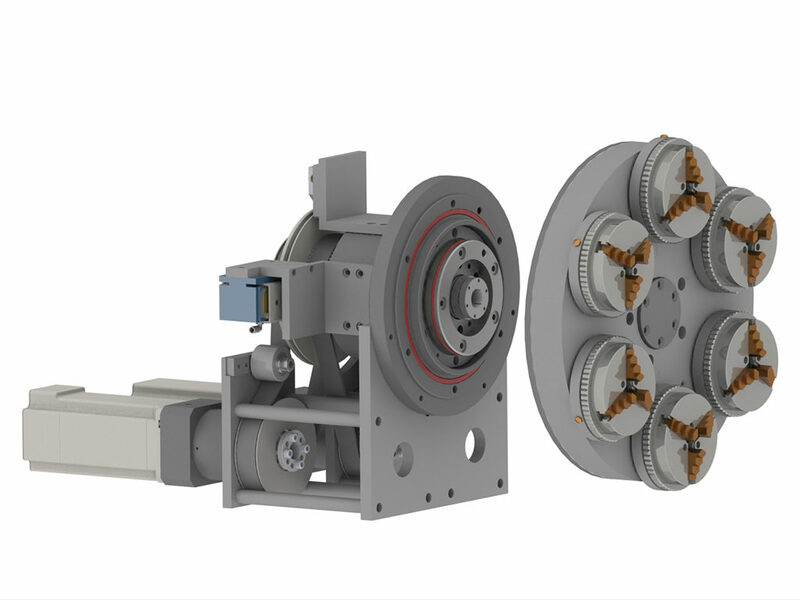 Whenever the workpiece requires axial or radial welding we offer different rotary manipulators which are fully integrated into the CNC control unit. A customized work piece fixture is very important. We offer standard devices like three-bracket chucks in different sizes or customized solutions that fits your needs including for example a 6-chuck revolver mount. The measurement of the temperature is possible with thermocouple bushing.